This is just a major poll, no release or anything. Should the peacranes be released? What do you think? Adding a poll, so you can respond if you want... XD But please vote in the poll. Only responses via poll will be counted. Poll will run for 10 days. Chuchu, just look at the creatures request section and the first topic there should be the peacranes one. They're very nice and all, I'd love to see them released eventually. But there are, like, fifty different species already existing in the Avatar world. Why are we making new ones already? We don't need them. i like them i kinda like see them in the air temple maybe a male or the female and then you buy the other gender in the black market. I would really like them but like Mineya said i think that we first have to release existing avatar creatures. Look at DragCave site. Dragons, dragons and nothing but dragons. No elephants, no birds, no cats, no unicorns. Why? Because that's Dragon Cave. For dragons only. This is Avadopts site. For creatures from Avatar cartoons and comics only. Other creatures must have another home - Squiby or something else. We don't need them here. I see it like Lirabet. Maybe in the future, if we have many avatar-creatures and they are not enough, then we could think of adding some that dont exist in the avatar world. Lirabet wrote: Sounds bad to me. there isn't many avatar creatures plus already non avatar creatures came to this site. Undead platypus bears, red blood cells and the upcoming phoenx turkey's. While your point you made is a good one, there are a few things wrong with it. And if the poll does end in Yes, they will be released when there are no more avatar creatures left. 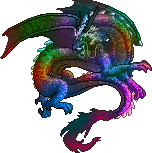 DragonTamerChris wrote: there isn't many avatar creatures plus already non avatar creatures came to this site. That isn't necessarily a good argument either, because the whole point that they're/we're trying to make states that, although those creatures are very nice, they should have waited too. Your argument can't be "Well, we already did it once, therefore we can do it again." More black market creatures is definitely a worthwhile cause! But instead of pushing for the spriters to make new creatures altogether, maybe people should be going to the Creatures section and clamoring for animals like the lizard parrot (or whatever it's called), the eelhound or the unagi, which would be great for the BM.